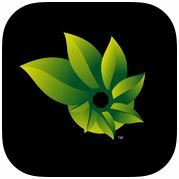 Panorama 360 is available for free for Android for $0.99 for iPad. If you are an iPad user and are looking for an app with the same features but for free, I recommend Photosynth. If you don’t have an iPad or an Android device, you can access Photosynth online for free! Furthermore, if you don’t have time to create your own panoramas, you can view the existing photosynths online that thousands of people have already shared.